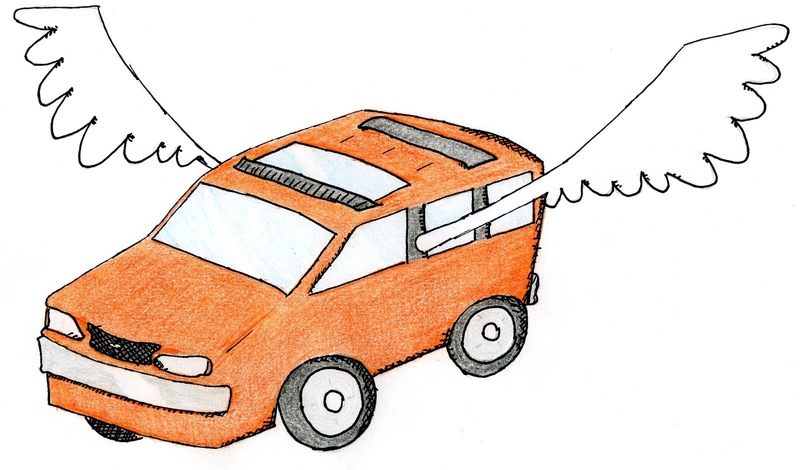 Bar bet: which will any normal person be able to buy first: flying car or car that drives itself? Well, right now you can buy a Ford Focus, that's right, a Ford Focus that can parallel park itself, while the driver just has to hold the brake pedal. So, unless you count doing seventy-five through New Orleans City Park and catching air on the bridges over the bayou, self-driving car is well in the lead. Car fatalities have gone down per mile travelled every year they've been measured. Most years they go down as an absolute number. Cars are safer; they handle and brake better, and they protect their passengers better in a crash. Car makers and regulators both know that the leading, actually almost the only cause of auto accidents is the driver. There are two types of safety features in the automotive world: active and passive. Passive safety features help protect the passengers from injury in the event of a crash: Seat belts, airbags, deformable zones in front and rear, safety cell construction around the passenger compartment, are all examples of passive safety features. Active safety features; which can be as simple as rearview mirrors, turn signals and headlights; help prevent an accident. In 1972, the Chrysler Imperial became the first car to introduce four-wheel electronic antilock brakes. At $500, it's unknown how many of this new optional feature were sold, but they didn't remain on the option sheet long. In August 1978 Mercedes and Bosch reintroduced ABS. By the late 1980's they were offered as optional or standard equipment on a wide range of automobiles. These systems allowed a car to stop shorter, while maintaining control. For the first time a driver could panic stop and steer the car even on slippery roads. In a 1995 study by the Insurance Institute for Highway Safety, they found no significant reduction in accidents for vehicles with antilock brakes. Similar studies by the National Highway Traffic Safety Administration and GM corroborated their findings. Fast forward to 2004. Electronic Stability Control, a technology introduced by Mercedes as ESP and General Motors as StabiliTrak, is studied by the NHTSA and found to reduce accidents significantly. In sport utility vehicles, single vehicle accidents are reduced by 67%! Fatal crashes were reduced by 30% in cars and 63% in sport utilities. Electronic Stability Control is so effective, the U.S. made it mandatory for all new vehicles for the 2011 model year. Now, armed with solid data that electronic aids can actually reduce crashes, turning research into actual products moves into high gear. Turn your wipers on and off for you as it rains. Detect a stopped vehicle or obstruction ahead and warn the driver with flashing lights and chimes. Determine that an collision with an object in front is imminent and automatically apply the brakes. Detect a drowsy, inattentive driver and warn him with a chime and warning light to suggest a break. 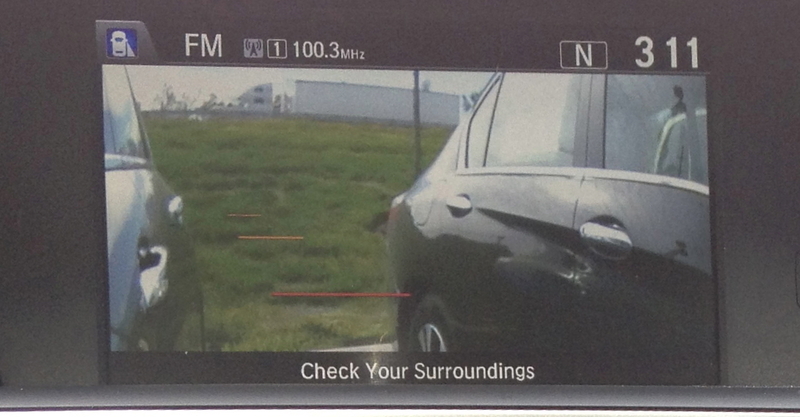 Show the driver what's in his blind spot using video cameras and an in-dash display. Determine that an object is in the vehicle's blind spot and warn the driver with a light. Sense that the driver is going to possibly collide with a vehicle in his blind spot and flash a warning, sound a chime, vibrate the steering wheel or vibrate the driver's seat to warn him. Steer the car back into its lane if it drifts out. Warn you when you're about to hit something as you back up. Automatically brake your vehicle while you back up if you are going to hit something. Warn you if a car is coming at you from the side as you back up. Alert you if somebody is waiting in your parked car. Alert you if you leave a child in your car when you're leaving your car. Parallel park your car for you, with you only operating the brake and gas. Show the driver, on a display, possible pedestrians or wildlife in the road or by the side of the road not generally visible using infrared lights and cameras or radar. Right now in Michigan, cars are talking to each other. Beginning in August, eight automakers began testing a system involving about 2800 vehicles which carry short-range transponders. These transponders can help warn drivers of vehicles coming from a blind intersection, broken down in the road ahead or other hazards. They work together with special traffic signals and other equipment to help give all kinds of advance warning to the drivers of the transponder equipped cars. These vehicle-to-vehicle communications are being tested to determine the best way to standardize the equipment across all manufacturers. It's important that Buicks be able to talk to Toyotas and both be able to talk with Mercedes. Federal regulators are looking at making this equipment mandatory in coming year. Possibly in this decade. Only by making it mandatory in all new vehicles will enough vehicles with the technology be on the road to begin reducing accidents significantly. What's Coming Further Down the Road? On September 27, 2012, California became the third state to allow self-driving, or autonomous cars, to drive on public roads. In Nevada, Florida and California, autonomous cars must have a licensed driver behind the wheel as a backup. Driven (hee hee) by Google's efforts, autonomous cars are being researched by universities, automakers and the U.S. government. Combined with vehicle-to-vehicle communication, radar, laser guidance, video cameras, GPS and powerful on-board computers, autonomous vehicles could more safely drive on any road. In addition to thousands of lives, time and fuel would be saved as well, as autonomous cars could plan closely spaced convoys drafting each other at high speeds, easing traffic. Such a system would have to have a very high level of redundancy and some serious failsafes. Once the passengers (because that's what they would be) come to count on the safety of the autonomous car, they wouldn't be ready to intervene in the event of a problem. Basically, when a problem occurred that could not correct itself, the car would brick itself. Although, maybe it would call for a tow-truck, first.